There is much ongoing debate over the theological doctrine of the Rapture of the Church. I have been going through my collection of old books and found a wonderful little booklet today authored by Pastor Curtis Hutson titled, “THE RAPTURE OF THE CHURCH” (copyright 1990, available from Sword Of The Lord Publishers in Murfreesboro, Tennessee). It contains 22 total pages. There are NO SIGNS that precede the rapture of the church. The coming of Christ for His own is imminent. A GREAT MINISTRY: I love these little booklets, which are awesome for churches, from the Sword Of The Lord. This is a great ministry that you can have in your church if you feel led by the Lord to finance it yourself. Ask your pastor if he would let you place the rack at the back of the church, and keep it stocked with booklets (there are hundreds of titles available), where church members and visitors can access the booklets. 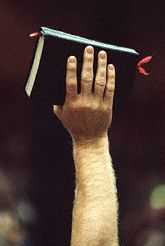 This is a fantastic way to get the teachings of God's Word into people's hands, minds and hearts. This is one of so many opportunities to serve God. One of the most popular religious radio teachers for decades has been Hank Hanegraaff, aka, “The Bible Answer Man.” Hank Hanegraaff is the successor of Dr. Walter Martin, author of “The Kingdom Of The Cults” (a very good book, but failing to expose the biggest religious cult of all, which is Roman Catholicism. Also, the book identifies Seventh Day Adventism as a “Christian cult,” but there is no such animal. SDA is a Satanic cult!). Dr. Hanegraaff denies the truth of a Pretribulation Rapture. SOURCE: Glen Beck's website, 'THE BLAZE': Is The Rapture Biblical? A popular criticism these days against the PreTrib rapture is that John Darby (1800-1882) invented the rapture doctrine, but that is simply NOT true. The Pretribulation Rapture Was Understood And Taught By Many Of The Early Church Elders. Some Bible students teach that the rapture of the church will occur during or after the Tribulation Period, that the church itself will go through the Tribulation; while others agree that the rapture will occur before the Tribulation. This is what we call the pretribulation rapture position. second, if the rapture does not occur before the Tribulation, then there is no place for it in the prophetic calendar of events which are described in the book of Revelation. In Revelation chapter 1 God analyzes the entire book. In revelation 1:19 He says, "Write the things which thou hast seen, and the things which are, and the things which shall be hereafter." It seems clear to us that "the things which thou hast seen" has reference to the vision that John describes in chapter 1. ". . .the things which are" refers to chapters 2 and 3, which many believe describe the church age, the age in which we live. The church age is an indeterminate space of time in which God is calling out a people for His name—the church. And when the church is finished, Christ will come for it. Hence the expression, "the rapture of the church." 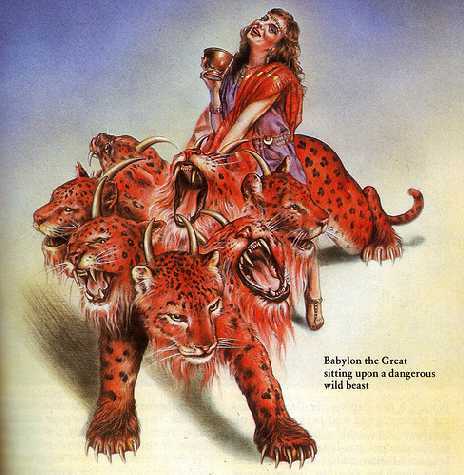 ". . .the things which shall be hereafter" begins in Revelation 4 and goes to the end of the book of Revelation. Revelation 4:1 states, "After this I looked, and, behold, a door was opened in Heaven: and the first voice which I heard was as it were of a trumpet talking with me; which said, Come up hither, and I will shew thee things which must be hereafter." The expression, "After this," we believe has reference to the church age, which he has been discussing in chapters 2 and 3. Heaven opens in Revelation 4:1, and the church is caught up to be with Christ, the rapture of the church. Heaven opens again in Revelation 19:11, and the church comes back with Christ, the revelation. Between chapter 4, verse 1, and chapter 19, the church is not mentioned or seen on earth again. Thus all the predicted events from chapter 4 to 19 will take place after the church is caught out from the earth to be with the Lord. Revelation 6 through 19 describes this awful period of time known as the Tribulation. The church is not seen on earth during this time. Chapters 4 and 5 describe scenes in Heaven after the church is raptured. But in chapter 6 the Antichrist makes his appearance on a white horse, imitating Christ, and the Tribulation Period begins. A third reason for believing in a pretribulation rapture is found in the message to the church at Philadelphia in Revelation 3:7-13. In verse 10 God promises, "Because thou hast kept the word of my patience, I also will keep thee from the hour of temptation, which shall come upon all the world, to try them that dwell upon the earth." Here God speaks of an hour of temptation which shall come upon all the world. The word temptation means "adversity, affliction, trouble," and we believe has reference to the Tribulation Period. Dr. C.I. Scofield refers to this time of temptation as the Tribulation Period. There is coming a great time of trouble and affliction for the entire world (the Tribulation Period). But God promises to keep the church from this awful "hour of temptation." In the fourth place, we believe II Thessalonians 2 teaches the pretribulation rapture. Here the Bible says in verse 1, "Now we beseech you, brethren, by the coming of our Lord Jesus Christ, and by our gathering together unto him." This verse describes the rapture of the church. It is the coming of the Lord and our gathering together unto him. Verse 2 continues, "That ye be not soon shaken in mind, or be troubled, neither by spirit, nor by word, nor by letter as from us, as that the day of Christ is at hand." The expression, "day of Christ, in this passage is connected with judgment. According to these verses, the church at Thessalonica had been told by someone and had even been sent a letter with Paul's signature forged to it that they were already in the period of God's judgment on the earth (the Tribulation). So Paul assures them that that day (Tribulation) will not come until after the rapture of the church. The mystery of iniquity is the Antichrist, the false Christ, just as the mystery of righteousness is Jesus Christ. The Bible says that someone is hindering the revelation of this Antichrist. The word letteth means “hindereth,” and the word let means “to hinder.” The He that is hindering the revelation of the Antichrist is the Holy Spirit, and the Holy Spirit abides in the bodies of believers. Thus it is the presence of believers in the world, by virtue of the fact that we are indwelt with the Holy Spirit, that prevents the revelation of the Antichrist. Therefore, the Antichrist cannot be revealed until after the rapture of the church. And the Tribulation Period does not begin until the Antichrist makes his appearance on a white horse in Revelation 6. If this be true, then the church will be raptured before the Tribulation begins. In the 5th place, we believe in a pretribulation rapture because throughout the Scripture believers are urged to watch and wait with expectancy for the Lord. They are not warned about a coming Tribulation. In Philippians 3:20,21 the Bible says, "For our conversation is in heaven; from whence also we look for the Saviour, the Lord Jesus Christ: Who shall change our vile body, that it may be fashioned like unto his glorious body . . . ."
In Hebrews 9:28 the Scripture says, ". . . and unto them that look for him shall he appear the second time without sin unto salvation." Titus 2:13 reminds us that we are to be "Looking for that blessed hope, and the glorious appearing of the great God and Saviour Jesus Christ." The Tribulation Period certainly would not be a blessed hope. It will be a horrible nightmare. As a matter of fact, Jesus said it would be so bad that, unless the days were shortened, no flesh would be saved. But He promised, ". . . but for the elect's sake those days shall be shortened" (Matthew 24:22). The sixth reason for believing in a pretribulation rapture is found in the little expression, "caught up," in I Thessalonians 4:17. Now, I am not a Greek scholar. I'm like Dr. Tom Malone who once said, "I know a little Greek and a little Hebrew. The little Greek runs a restaurant, and the little Hebrew owns a clothing store." That's about all the Greek and Hebrew I know. But I do have access to Greek dictionaries and Greek word studies. Dr. Kenneth Wuest in his book, Prophetic Light in the Present Darkness, says, "This removal of the Church out of the reach of the Tribulation is spoken of also in the Greek word harpazo, translated 'caught up' (I Thessalonians 4:17), one of whose meanings is 'to rescue from the danger of destruction.' The church will not only be rescued from destruction but from its very presence. It will not be subject even to the dangers of the Great Tribulation." To teach that the church will go through the Tribulation Period or any part of the Tribulation Period is to nullify the Biblical teaching of the imminent coming of Christ. In Matthew 24 Israel was given signs which will warn her of the near approach of the Tribulation. But nowhere in the Bible are any signs given to the church to warn us of the coming of Christ for His own. 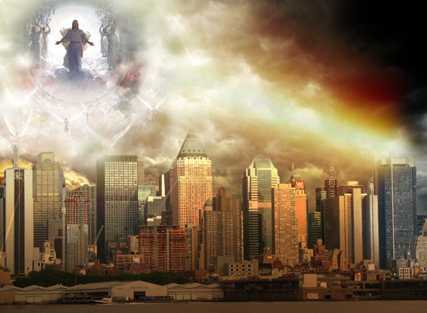 This event (the rapture) is imminent and has been imminent since New Testament times. It could happen at any moment. SOURCE: THE RAPTURE OF THE CHURCH, Dr. Curtis Hutson, pp. 14-19; copyright 1990, Sword Of The Lord Publishers, Murfreesboro, Tennessee. The Lord plainly taught that there are NO VISIBLE SIGNS preceding His return for the church. Christ's return will be imminent. It could happen right now, this very moment! If you deny a pretribulation rapture, thinking Christ will return at a later time, then you can only watch for acts of God unleashed upon the earth during the Tribulation Period. There would be no need to look for the Lord's return, because we would know exactly the time of His return based upon events happening during the Tribulation. Read what Jesus said once again in Mark 13:33 and 37, “Take ye heed, watch and pray: for ye know not when the time is . . . . And what I say unto you I say unto all, WATCH.” You decide my friend. I believe in a pretribulation rapture and have all my life. I doubt if I'll ever change my view on the Rapture [as have Dr. Kent Hovind and Evangelist Kirk Cameron (who both changed from a PreTrib position to a PostTrib position recently)], but would change if I were wrong. Albeit, I have no doubts whatsoever about a pretribulation Rapture, because Jesus said NO MAN KNOWS the time when He is coming back. Only a pretribulation rapture supports the imminent, sudden, unpredictable return of Christ. Revelation 17:9, “And here is the mind which hath wisdom.